Did the IRA mount a ‘northern campaign’ in 1942-43? According to some historians the IRA began a campaign against the northern government in 1942, which most call the ‘Northern Campaign’. Oddly, though, there is no evidence to suggest that the IRA ever formally began such a campaign. In early 1942, under Sean McCool then Eoin McNamee, the IRA’s Army Council had debated its policy towards the northern government and the possibility of a northern campaign. The context of this was the long-standing conflict both within the IRA and between the IRA and the southern government over whether the IRA could endorse, passively accept or even just merely tolerate the legitimacy of the southern government. The real issue was whether the IRA should cease any form of military activity against the southern government and concentrate its efforts against the northern government. This was an ongoing bone of contention between the IRA structures north of the border, and, the IRA centre and GHQ in Dublin. In the sequence of events that led up to the Belfast IRA removing Stephen Hayes as (Acting) IRA Chief of Staff in 1941, two major command meetings had been raided at which there was to be a decision on whether to mount a formal northern campaign. The removal of Hayes is probably best understood in the context of a Belfast-Dublin dynamic within the IRA and northern frustration at IRA GHQ’s perpetual inability, or unwillingness, to engage in a northern campaign. Apart from brief spells under Kerrymen Sean Harrington and Charlie Kerins, the IRA Chief of Staff after Hayes was normally a northerner, with Pearse Kelly, Sean McCool, Eoin McNamee, Hugh McAteer and Harry White all filling the role up to 1945. Not that the IRA hadn’t actually considered a ‘northern campaign’. Tom Barry, as Chief of Staff in 1937-38, had gone as far as preparing a plan (basically to seize Armagh in the hope that it would force the Free State to intervene on the side of the IRA). The plan, such as had been put together, was the subject of gossip in Cork then quickly abandoned. Barry hadn’t really consulted with the northern IRA leadership on the plan, though. The IRA Command meeting in Crown Entry in 1936 also appears to have been intended to consider a northern campaign but it too was raided. That it was to double up as a command conference would be the reason why many more senior commanders were present than required for a court martial (the meeting’s stated purpose). Arguably, the sabotage campaign in England, proposed by Sean Russell, was partly a compromise to avoid focusing the IRA’s efforts solely against the northern government (and by doing so, tacitly accepting the hegemony of the southern government south of the border). By 1942 the IRA’s internal debate had still progressed no further than a general proposal to relocate as much weaponry as possible to where it would be used in such a campaign. Much of this is related in Bowyer-Bell’s The Secret Army (although it is presented as part of a formal ‘northern campaign’). After repeated changes of Chief of Staff in Dublin in 1941 and 1942, Hugh McAteer had taken over from Eoin McNamee and, by July 1942, relocated the IRA’s centre to Belfast where an IRA Executive was to be put together to oversee future activity. Sean Russell’s campaign in England had been the final realisation of a long-proposed strategy going back to the Irish Republican Brotherhood and Fenians. It had been viewed with significant skepticism by the Belfast IRA who had supported it and enthusiastically built up the Northern Command created as part of the campaign, but was then very quick to declare Russell’s campaign as over. Some in Belfast even suspected that the IRB itself had been reactivated behind the scenes as part of the campaign (and that it included both activists on the Free State and IRA side). The relocation of the IRA’s centre to Belfast was equally the manifestation of a twenty-year long northern lobby within the IRA that wanted the organisation to concentrate on removing partition over any confrontation with the southern government. It was thought that all the intrigue, rumour and calamity that seemed to whirl around the IRA’s centre in Dublin would be removed by relocating that centre to Belfast. As events then unfolded in late August 1942, the now Belfast-centric IRA intended to make a violent response to the six proposed executions of IRA volunteers in Crumlin Road prison (one being Tom Williams). These were to be carried out on 2nd September and this response is often what is described as the ‘northern campaign’. In IRA parlance, though, it had no official standing as a distinct campaign. Indeed, when Russell’s campaign was formally called off by the IRA’s Army Council in 1945, there was no mention of a ‘northern campaign’. However, as part of the preparations for an as yet unplanned future campaign, arms dumps were being assembled at various strategic locations, some close to Belfast. The northern IRA was also using this window of opportunity to get control of whatever weaponry the IRA had available, which would allow it to plan and execute a campaign at its own choosing. As posted previously, on Sunday 30th August, the IRA issued a ‘Special Manifesto’ that restates the ‘…National principles actuating the Irish Republican Army…’. Again, nowhere does this declare that the IRA is embarking on a northern campaign. The previous day Tom Williams five co-accused had been reprieved meaning only Williams was to be hung. The IRA still intended to make some form of violent response. Politically and among civic society the very active reprieve campaigns continued to try and halt Williams’ execution. At one of those assembled arms dumps, on the 31st August, at Budore near Hannahstown, an IRA volunteer, Gerard O’Callaghan, was surprised by an RUC search party and shot dead (allegedly finished off while wounded, although there was no inquest or autopsy to confirm the details). Another volunteer that was arrested at the scene, Charles McDowell, appeared to be suffering from shell shock afterwards, such was the volume of gunfire from the RUC during their raid. This happened against the already grim backdrop of Williams’ imminent hanging. When the RUC raided two farms at Budore, the full inventory of what was recovered is extensive but gives an idea of the weaponry available to the Belfast IRA and its Northern Command. It included eight Thompsons (plus magazines), eight Lee-Enfields, forty revolvers, fourteen automatic pistols, a tear gas pistol, two older pistols, ten revolver barrels, ten revolver butts, twelve revolver cylinders, three automatic pistol barrels, five automatic pistol butts, four automatic pistol magazines, two rifle nose caps, one hand guard for a rifle, a .22 sporting rifle, a round of .40 rifle ammunition, four hundred and ten rounds of .45 Thompson ammunition, eight thousand six hundred and sixteen rounds of .303 ammunition, one thousand three hundred and seventy-eight rounds of .45 revolver ammunition, eight hundred and one rounds of .380 automatic pistol ammunition, thirty-five rounds of .380 revolver ammunition, one hundred and fifty-five rounds of .22 rifle ammunition, forty-one 12-bore shotgun cartridges, a sling grenade, two gas shells, a 3 inch shell, seven holsters, five leather webs/bandoliers, twelve cotton bandoliers, cleaning rods and rifle chargers. There were also explosive materials including three barrels of potassium chlorate, one hundred and twenty-five grenade cases, eight grenade detonators, three hundred and five detonator sleeves, two hundred and ten grenade detonator screws, forty tear gas grenades, fifty-one tear gas grenade fuses, a coil fuse, an electric firer, three galvanometers, a box of percussion caps, one hundred and sixty sticks of gelignite, four 3-lb tins of gunpowder and an additional bag of gunpowder. Over that same weekend, the reach of the reprieve campaign gives some indication of the breadth of public sentiment the IRA hoped a northern campaign might ultimately be able to harness as a source of political support. Ironically, many of those involved were not to publicly oppose the six executions of IRA volunteers carried out by De Valera’s government. But that reflects how much deeper was the emotional resonance of IRA action in the north over the south. There were Belfast and Dublin Reprieve Committee’s. Tom William’s solicitor, D.P. Marriman had tried to get an interview with the northern government’s Prime Minister, Andrews, but instead got a meeting with Grandsen, Secretary to the Cabinet. Marriman was accompanied at the meeting by the Dublin secretary of Irish Licensed Vintners’ Association who, in turn had tried to get ex-Belfast Lord Mayor Sir Crawford McCullagh to use his influence (Marriman also wrote to the Governor of Northern Ireland). There was sufficient support in high places for pleas to be made to King George of England and the British Home Secretary, plus a message by Sir Hubert Gough to Mr. Churchill, the Archbishop of Canterbury, Cardinal Hinsley and the moderator of the Free Church Federal Council saying a reprieve would be timely and appropriate. There were also pleas sent to the Duke of Abercorn from former political rivals. The National Union of Seamen wrote to the head office in England, the British TUC was asked to intervene. The Dublin Reprieve Committee made a call for all businesses, shops, manufacturers, offices and transport companies to close from 11 am to 12 pm on the day of the execution. Those that announced their members would close included the Licensed Grocers’ and Vintners’ Association, the Irish Newsagents’ Association, the Irish Retail Tobacconists Association, the Fruiterers’ and Confectioner’s Association, as did the Dublin Trades Union Council. The Committee also asked people, where possible, to go to churches and other places of worship to pray for the repose of Tom Williams’s soul (which many did). The 11 o’clock mass in the Pro-Cathedral in Dublin was to be offered for that intention. Similar calls were made in Limerick, Galway, Tipperary, Cork, Waterford and smaller provincial towns like Sligo, Portlaoise, Listowel and Portarlington. Some buildings, including public buildings, flew flags at half mast. One shop which did not close on O’Connell Street in Dublin had its front window broken. Most Dublin cinemas did not open until 6 pm. In Belfast, pubs and shops closed for the day in nationalist districts. Transport workers and dock workers also downed tools for the day in Belfast in protest. Many factories and businesses close to nationalist districts also closed for the day, more in anticipation of trouble than out of sympathy. The RUC patrolled the Falls Road and other nationalist districts in armoured cars. There was surprisingly little trouble in Belfast on the day of the execution. From 7 a.m., the Crumlin Road for a quarter of a mile on either side of the jail was closed by the police. Trams bringing workers to factories were prevented from stopping. Crowds, mostly women, began to gather at Carlisle Circus and the Old Lodge Road. The atmosphere inside Crumlin Road itself was dreadful. The republican prisoners had agreed to fast for the day and the Catholic prisoners were to attend mass at 8 am to coincide with the time set for the execution. Out in front of the prison, by ten minutes to eight Catholics among the crowd knelt on the streets and recited the rosary. Women who had gathered at the relatively ‘mixed’ Old Lodge Road junction with Crumlin Road began singing loyalist songs like ‘Dolly’s Brae’ ‘The Sash My Father Wore’ and ‘God Save the King’ and shouted abuse at those kneeling in prayer. The RUC evenutally pushed the crowds back. At the corner of Cliftonpark Avenue and the Crumlin Road a group of kneeling women were ordered by baton wielding RUC men to to move on. After 8 am when Williams’ was led through the adjoining door of his cell into the execution chamber. The Catholic chaplain had arranged that a key point in the mass, when he raises up the communion host, would coincide with the exact time of Williams execution. It broke up many of those present. Outside, as the crowds then moved on from the prison, a group of mostly young women with black scarves marched down the Crumlin Road into the city centre, singing ‘A Soldier’s Song’ and ‘Kevin Barry’. In Wellington Place, near the City Hall, the RUC charged and scattered the crowd (which by then numbered around three hundred), who, in turn, responded by throwing bottles and other missiles taken from dust bins. By the time things were calmed, two men and a few women were arrested. Two of those arrested, James O’Hara and William O’Sullivan got three months for riotous behaviour. All the while the RUC was intensely patrolling the Falls Road and other districts in armoured cars and broke up any groups of people that gathered to prevent crowds forming. Under these circumstances, that was surprisingly little violence. It turned out that the RUC patrolling in nationalist districts was largely the prelude to a massive wave of arrests in Belfast and elsewhere that began the next day. After the relative calm in Belfast, the RUC detained over two hundred people on the morning of the Thursday including both men and women. The RUC chased a number of people through the streets before arresting them. Immediately after the execution, on the Wednesday evening, the IRA had mounted a botched raid on the border in Armagh, in which a number of Belfast IRA volunteers had participated. Outside Belfast a small number of IRA attacks took place in the days after the execution, mostly in the first 48 hours including attacks in Randalstown, Belleek and Clady (where two RUC constables were shot dead). In Belfast IRA actions were almost confined to the same time frame but all appear to be relate to the continuing RUC raids rather than a formal response to Williams execution. One young IRA volunteer, Gerry Adams (who was sixteen), was wounded by the RUC when he opened fire at them with a revolver in Sultan Street. Another direct confrontation between the IRA and RUC occurred in Leeson Street where a B Special patrol encountered an IRA unit. During an exchange of fire, Special Constable Cochrane, firing from behind the cover of an air-raid shelter, shot James Bannon who had been armed with a Thompson sub-machine gun. Bannon collapsed to the ground and the IRA unit had to carry him away from Leeson Street with two providing covering fire with their revolvers. Bannon was taken in an ambulance from a house in Sultan Street and later arrested, he had wounds in his arm and stomach. In Servia Street, a follow up search by the RUC after more shots were fired, recovered a revolver that had been dropped in James Lynam’s house. Both Lynam and John McNally were arrested, although Lynam wasn’t an IRA volunteer. Gerald Hodgson (Grosvenor Road) was picked up and charged with possession of illegal documents, while Joe Quinn and Tom Collins were arrested over the finding of a revolver, ammunition and three Mills bomb in Distillery Street. Patrick Tolan and Michael Morris were also charged with possession of arms. Given the number of arrests made by the RUC, the number of formal charges is low (most of those arrested were simply interned without charge). A week later, on the afternoon of 10th September 1942, the RUC raided the publicity HQ of Northern Command at 463 Crumlin Road in Belfast. After a brief stand-off in which some shots were exchanged, John Graham and David Fleming were both arrested. The RUC recovered six revolvers and ammunition, a full print run of the September edition of Republican News (which the IRA pointedly had re-printed that night and issued the next day, regardless), a duplicator, typewriter and radio broadcasting equipment and more literature. This included booklets on the Constitution and Governmental Programme of the Republic of Ireland, the Constitution of Óglaigh na hÉireann, fifty copies of the Special Manifesto, a memo on the Hannahstown Arms Raid, a Report of Northern Command Convention held in March 1942, one hundred recruiting posters and headed notepaper entitled ‘IRA, Northern Command Headquarters, Belfast‘. There was no ‘northern campaign’ plan found. Despite all the evidence to the contrary, the term ‘northern campaign’ is still used by some to describe this period after Williams’ execution, when there was literally a handful of IRA operations, no plan and no sustained activity. While, arguably, the loss of the dumps at Budore and the raids in the forty-eight hours after the 2nd September may have stopped a campaign from taking place, there was no operational plan for such a campaign beyond a general assault on the armed forces of the northern government as a response to Williams execution. The next issue of Republican News, the first following Williams’ execution, stated that “…neither the passions of the people, nor the fiery demand for action of the Volunteers, will make the Army authorities enter into hasty or unplanned action.” This seems to confirm that there was no formal ‘northern campaign’ planned for the immediate future. Militarily, in 1942, the IRA still lacked the depth of resources to achieve its goals. The main focus of its campaign by the start of 1943 was to generate publicity and win support for the cause of Irish unity and independence to feature in the political shake-up that would come with the end of the world war. The real target, in that sense, was Irish-America. There had been considerable pressure among Irish-Americans for any US support for the British war effort to be contingent upon concessions from the British over Irish unity. Even after US entry into the war on the allied side, this strategy made a certain amount of sense while the outcome of the war was still in doubt and there was the prospect of a negotiated settlement. It was only really in early 1943, as the Allies moved towards demands for an unconditional German surrender, that the prospect of an international peace conference receded. In that regard, the IRA’s policy, as such, by late 1942 and then in 1943, was not a ‘northern campaign’ but rather to attempt to stage set-piece operations intended to garner publicity with a view to appealing to a broader political constituency that might support the achievement of Irish unity and independence. By the end of 1943, though, the main footprint of IRA policy was dictated by the need to address prison issues north, south and in Britain and any thoughts of a formal campaign were pushed out into the future. While the horrific circumstances of Sean McCaughey’s death on 11th May 1946 after a 23 day hunger and thirst strike are well known, less people are aware of the story of David Fleming, from Killarney, in County Kerry, who was serving a 12 year sentence on a treason-felony charge in Belfast prison since 1942. Fleming had been subject to severe beatings at the hands of prison staff and had participated in a blanket protest in 1943 and a 40 day hunger strike in 1944. He began a hunger strike on 22nd March 1946 which ran alongside Sean McCaughey’s in Portlaoise despite both prisoners being held in isolation. His brother Patrick (a former IRA Army Council member who had himself spent considerable time interned in the Curragh), was allowed to visit him in Crumlin Road prison and gave a statement carried by the press (on 18th November 1946). He recorded that, when the three month blanket protest had ended in September 1943, David’s behaviour had been a cause of concern and he had been placed under observation for two months by the medical officer. After the ending of the blanket protest in September, the IRA prisoners in A wing of Crumlin Road had debated what to do next about conditions inside the prison. Sixteen women interned in Armagh prison had gone on hunger strike in November and December 1943, and unfounded rumours had circulated in the press over the winter that Hugh McAteer (the former IRA Chief of Staff who had escaped and been eventually re-captured in 1943) had gone on hunger strike. 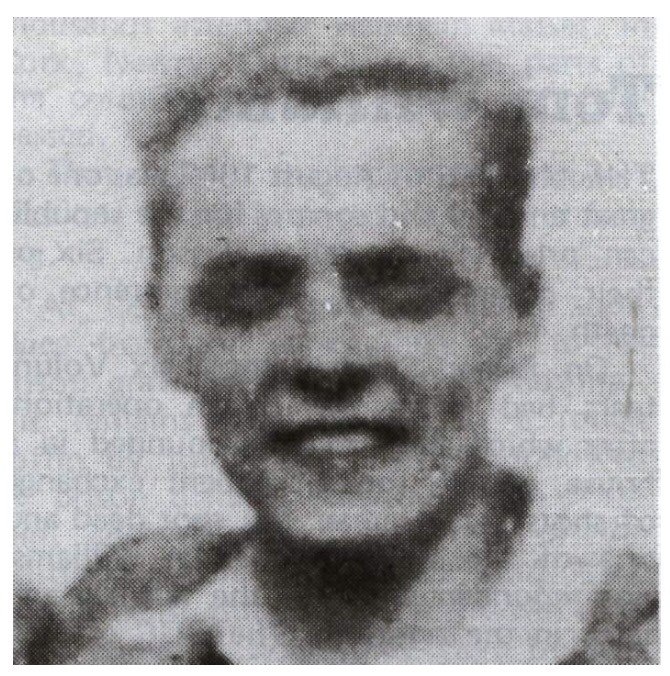 On the 22nd February 1944, a hunger strike did begin, with teams of three joining in stages, first beginning with McAteer, Liam Burke (O/C of the republican prisoners) and Pat McCotter. The prison authorities delivered food and milk to their cells every day, hoping to tempt the prisoners to come off the strike by leaving the food there in front of them. The will power required to continue the strike, in the cold cells of Crumlin Road, with food in easy reach, must have been formidable. As the end of the second world war appeared to be in sight during the remainder of 1944 and 1945, the prison issues became less pressing as there was an assumption that internees and even sentenced prisoners would be released once hostilities ceased. While the internees were released during 1945 (some having been first interned since 1938, long before the outbreak of the world war), the northern government appeared to have no appetite for remitting the huge sentences it had handed down over the previous five to six years (eg 10 to 12 years penal servitude for possession of revolver instead of a £2-£5 fine). The stress of the beatings and the threat of lengthy imprisonment led David Fleming to embark on a further hunger strike on 22nd March 1946, in protest against his incarceration. After the severe assault he was subjected to in June 1944, his brother Patrick records that David’s mental health remained an issue for the prison authorities (see statement below). By the end of 1946, he had spent at least 155 days on hunger or thirst strike. This included the first hunger strike begun on 22nd March which he continued, despite a beating in his cell of 12th April and forced feeding the same month, for 82 days until the 12th June. As with the previous hunger strikes the press continued to report inaccurately, claiming he had taken food on occasions. Between June and October, David embarked on a number of short hunger strikes of between 12 and 16 days, refusing liquids for 7 days on the longer protest. On the 12th October he again refused food and went on hunger strike. It was his tenth hunger strike (according to the Irish Examiner on 22/11/1946). During the strike he seems to have intermittently refused liquids as well as food for periods up to at least 6 days during the protest. As public concern about both his health and mental state continued, pressure seems to have told on the northern government. On the afternoon of 25th November, after 45 days, he ended the hunger strike. That Saturday, assuming David’s health was irretrievably broken, the northern government released him to his brother Patrick and a nurse and he was brought straight over the border to the Pembroke nursing home in Pembroke Street in Dublin. For good measure, the northern government served an exclusion order on David Fleming under the Civil Authorities (Special Powers) Act. “Owing to travel restrictions during the war he was not visited by any members of his family until eight months ago, when his mother was informed by the prison governor that he was dangerously ill, as a result of hunger strike. “I visited him at that time and found that he had been on hunger-strike for 40 days. After having a conversation with him I formed the opinion that he was not normal mentally. Other persons who had seen him, including the prison chaplain, formed the same opinion. No amount of reasoning could prevail on him to abandon the strike. On the 82nd day, without giving: any reason, he took food. At this stage he was in a state of collapse and very confused mentally. “After a period of three weeks, when he was recovering, he went on a succession of fasts, some lasting 12 and 16 days, the latter including the refusal of liquids for 7 days. “On October 12 he again started a fast, and has since taken no food. “Since I first visited my brother in May last, I learned some of the facts concerning his condition and treatment since his arrest. In the second year of his imprisonment he, with a number of other political prisoners, as a protest against their treatment, refused to wear convict dress. He was kept naked in solitary confinement for three months; even the bedding was removed in the daytime. After this it was noticed that he was acting in a peculiar manner, and the medical officer had him placed under observation, for about two months. He was then returned to a work party. Mr. Fleming adds that later David was removed to the prison hospital. Whilst in hospital a government mental specialist was brought to examine him. After nine weeks he was returned to the prison, and some time later he began the first hunger strike. Based on this statement confirming the duration, I’ve revised the dates and timings of David Fleming’s first hunger strike in 1946, to allow 82 days (as stated by Patrick) from start to finish. This means the strike started on 16th March and strengthens the suggestion that McCaughey had calculated that accelerating his protest by refusing liquids would bring both strikes to a critical point at the same time (ie between 50-55 days after Fleming’s began, similar to when D’Arcy and McNeela died in 1940). Some notes on the prison experience in Crumlin Road in the 1940s. Here are some notes on the conditions in Crumlin Road by 1943-44. They cover the deaths of seven prisoners, conditions inside the prison and accounts of beatings handed out to individual prisoners over that two year period. The dismissal of a prison officer and warders from A wing following the report into the January 1943 escape also saw the beginning of what Joe Cahill refers to as Lancelot Thompson’s ‘reign of terror’. That was to last for three years (and Thompson was also to be governor during internment in the 1950s). By 1943 there were around 100 sentenced republican prisoners in A wing. Internees, some of whom had been imprisoned without trial or charges since 1938, numbered in the hundreds. It included prisoners who had been on the Al Rawdah and moved back. Others were interned in Derry jail, while there were also women held in Armagh prison. In March 1944, Jack Beattie, a Stormont MP for Pottinger, gave an account in Stormont on the 22nd March, detailing conditions in the prison since 1943. 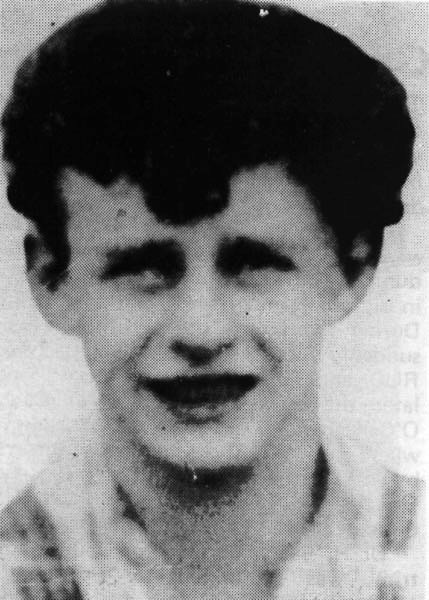 Beattie was a regular visitor to the prison and, despite the fact that the IRA prisoners regarded the politician’s interest as purely self-serving, it is clear Beattie’s information was collected directly from A wing in particular. He said that “In the first place, the cells of the men are searched almost daily. Not only that, but the men are stripped periodically and their persons subjected to the indecent searching of the warders, who accompany the searching with vulgar and obscene language. The Governor promised that men would be stripped only once every three weeks. Yet men are being searched twice and three times every week. It should be noted that all these searches are without result…This searching is a violation of the code laid down in the King’s Regulations for the treatment of these long term prisoners…we brought them [long-term prisoners] to our jail on the Crumlin Road, which was unsuitable, and where, the accommodation was not in accordance with the King’s code laid down for the treatment of these men. Now I want to draw attention to the food. The food rations are considerably less than the authorised allowance. It is badly cooked, almost cold, and is given to prisoners in vessels which bear visible traces of the previous meal. Cocoa and tea have been served in tins with considerable pieces of porridge or boiled turnips stuck to the bottom. Frequently during the past few months, when the orderly came into the Wing with the dinner or supper, he was told to take it back to the Circle, as the warders at the moment were searching the prisoners. This meant that the food was cold when brought back. Well, now, you would have thought that if the humanitarian touch had been there at least this process of search would not have taken place at the hour when the prisoners were to receive their food. Some have suggested that this was done deliberately. I do not know whether that is true or not. It often happens that some of the men cannot eat their porridge. The reason for this is that they cannot digest the half cooked inferior meal. About nine months ago a man complained to the doctor that the milk was being watered. The doctor told an official to get him a mug of milk which at the moment was just coming into the wing. The official got a mug and skimmed the top of the milk. The prisoner objected, saying the test was not fair. He was brought before the Governor the following day and sentenced to three days bread and water for interfering. I go on to recreation and exercise. It is deliberately set out in the regulations how these men must get recreation. They must get exercise. I will now show you what exercise these men get. During the winter months the men getting exercise must spend their time in an air-raid shelter which passes for a recreation hall. This is approximately 20 feet broad by 50 feet long, but 120 men gather in this shelter and there is bound to be overcrowding. The exercise yard is approximately 15 yards by 30 yards. It can easily be seen that this yard is not large enough to allow 120 men to exercise in a proper manner. There are no sheds or shelters in this yard to shelter the men from the wind and rain. When it rains the men must await the warder’s judgment as to whether it will continue to rain or not. If he thinks it will not, they must remain outside. If he thinks it will, they are taken inside to exercise in the wing or to sit in the air raid shelter. The men exercise daily from 11 to 12. On Sunday they receive three hours’ exercise, never any more. Except for the time they are at church or chapel, they are locked up for 21 hours every Sunday. Considering the ill-ventilated workshops and the length of time they are locked up in their cells this system of exercise is totally inadequate. Now in the British prisons to-day and in the prisons throughout the world at least justice is meted out to the prisoners in the grades which I am speaking of. Northern Ireland is the only place in the world where you find cruelty existing to the extent that I have outlined. One of the prisoners, partially crippled in one leg, has during the past three years been allowed a bucket of hot water daily to bathe his leg, but on 29th February an official put colouring stuff in the water in case, he would use it for any other purpose. He put colouring stuff into the water the man was going to bathe his crippled leg with. Nobody knows what that colouring stuff was. What sort of conduct or treatment – certainly not Christian treatment – is taking place in this particular jail? The questions which I have outlined have all been brought to the notice of the authorities, and here is what happened without any of these people reporting the matter to the proper authority. Here we have a man named Charles McCotter who, for reporting, was punished ten times and was put on bread and water eight times. Because he found it humanly impossible to exist under such conditions he took the only way, the legitimate way, of making his report, and because he did that he was punished ten times and placed on bread and water ten times. That is a boy of 24 years of age. Another case is that of James Kane. He also found the conditions of life so unbearable that he reported eleven times. He was punished eleven times, and was placed on bread and water five times, all for crying out for the justice and treatment for which the law provides. 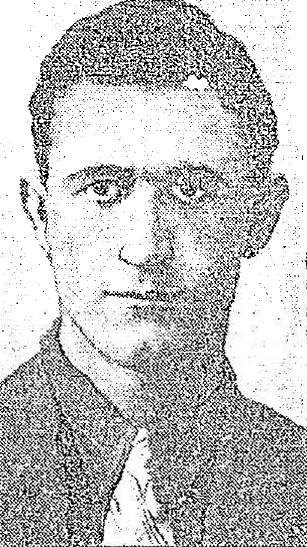 Then we have another case, that of Edward Dalzell. He reported seven times. He was punished seven times, and he was put on bread and water six times. Again I say people would think that those Gestapo methods of dealing with long term prisoners could be used only in Germany, and yet we find them operating in Northern Ireland. I say now that my statement in London was correct and to the point-that we were more akin to the Nazis in Germany than we were to the democratic world outside it. Then we have Francis Dunlop who is 22 years of age. He was punished twelve times and put on bread and water seven times for reporting against the unchristian and unlawful method of treatment which is being inflicted upon these people. I will be told that the majority of these people are political prisoners. They are prisoners who have been brought to trial and sentenced, it may be, for political crime, but because it is for political crime there is no justification for the Minister of Home Affairs allowing these things to go on as they are at the moment. Because they are political prisoners cruelty cannot be justified. If they were in any other country in the world they would be graded as political prisoners; in Northern Ireland they are graded as criminals. Eddie Dalzell and Jim Kane may well have been singled out for their particular treatment as they had been orderlies in A wing on the day of the escape in January 1943. Frank Dunlop had been on the receiving end of ill treatment for a number of years. According to Billy McKee, after the escape in January 1943, the warders selected for duty in A wing, in particular, were chosen for their physicality and brutality. He says that Beattie’s description is accurate for that period and you could expect rough treatment and your cell to be searched and tossed at least twice a week, every week. Tossing the cell – throwing everything onto the floor in a heap – served no purpose other than to humiliate the prisoner. McKee also remembers that you could be, and were, regularly placed on punishment for practically anything and nothing. Geordie Shannon recalled that a prisoner found part of a dead mouse in his porridge and complained. He was given three days bread and water. After the calamities that followed in the wake of defending the Campbell College defendants, the northern government could usually rely on IRA prisoners to refuse to engage with the courts system for redress. Formal complaints to the prison authorities were seen by the IRA as similar to recognising the courts. But that wasn’t always the case with younger prisoners. Bobby Hughes, from Cavendish Street, was one of those arrested at the Clay Pits on the Springfield Road in 1943 (with Jimmy Steele’s nephew Arthur). While on remand in Crumlin Road in the summer of 1943, James Sloan, a warder, struck Hughes in the face, knocked him down and kicked him, then beat him across the back with a leather belt. Another warder, Harper, also beat Hughes on the back of the neck. The two warders also forcibly stripped Hughes. The defence claimed that the treatment had been given because Hughes and other prisoners were whistling, shouting and singing, and, that Hughes had refused to remove his coat or strip and had kicked out at the warders when they tried to strip him. Hughes father brought the case against Sloan but the authorities refused permission for Hughes solicitor to interview any of the six other prisoners who had witnessed the beatings. Despite that, Hughes was still awarded £12 damages by the court. According to Geordie Shannon, the internees in D wing were largely left alone by the prison staff and had political status (although the food and living conditions were still dreadful). The politicals, mainly the prisoners in A wing, were “kicked up to see the governor and kicked back down again” says Shannon. Another measure, not described by Beattie, was the reality of being sentenced to solitary confinement. The solitary cell had nothing at all in it. Once penalised with solitary confiement you didn’t get out at all for the duration of your punishment. At night you were given a mattress and slept on the floor. The diet was a mug of water and four ounces of bread three times a day. To put that in context, four ounces of bread is about 350 calories, not even 20% of recommended daily intake. The use of solitary confinement and the number one diet was commonplace after January 1943. Official punishment also meant receiving marks that counted against remission. Jimmy had accumulated 200 remission marks during his Treason Felony sentence, adding 40 days to his term in Crumlin Road in 1940. One cruelty that features in every memoir of the prison in the 1940s was the use of the whip (called the cat, or birch). When the courts sentenced prisoners, they were often, and apparently quite randomly, given an additional punishment of receiving ten or twelve strokes of the whip. This was to be carried out by the prison staff at an unspecified time. In their accounts of A wing in 1943, Joe Cahill and Liam Burke go into detail of how it was administered. Without any notice, and sometimes months after the sentence, the prisoner would be brought to a cell in C wing where he would be stripped to the waist and left there. He would then be brought out through a gauntlet of off-duty prison staff and down to an underground boilerhouse where the prison staff would assemble to watch. There the prisoner would be suspended off the ground tied to metal rings while an unidentifiable warder administered the strokes of the whip, counted out by the governor. The prison doctor would check the prisoner’s heart after each stroke. Liam Burke was told this punishment was being carried out in accordance with instructions from the Ministry of Home Affairs. The birch was regarded as a particularly cruel punishment and deeply resented by the IRA prisoners. Another, and even more damning, measure of the severity of the prison regime may be taken from another statement made later in Stormont in May 1946, this time by Harry Diamond, as Stormont MP for Falls. He stated that: “If any proof is needed about the conduct of the prison warders towards those prisoners over a number of years, there is the fact that seven of those young men who got out died almost immediately as a consequence of the treatment they received, and that others were taken off to lunatic asylums absolutely insane owing to the conditions they endured.” No-one on the Unionist benches denied that this was the case. The prison authorities in Belfast were usually careful to release prisoners whose health was in terminal decline to their families so that they didn’t die within the prison. Curiously, many republicans who died in this way, such as Pat Nash, Frankie Doherty and Thomas O’Malley (in 1959) aren’t usually included in the republican Roll of Honour for the early 1940s while others, like Jack Gaffney, who died aboard the Al Rawdah, Joe Malone and Terence Perry who died in Parkhurst Prison, John Hinchy who died in Mountjoy, and Charlie O’Hare who died in the Isle of Man internment camp are included. Jimmy, though, does include Doherty, O’Malley and Nash in his song Belfast Graves and his poem In Belfast Town. Some of the young men who were released from Crumlin Road prison to die at home were Richard Magowan, Dickie Dunn, John McGinley, Peter Graham, Mickey McErlean and Bernard Curran. There were also four confirmed cases of tuberculosis (one of which was Richard Magowan). To take one example, Bernard Curran had been interned in May 1940 and first complained of illness to the medical officer in the summer of 1941. He was sent out to hospital for a minor operation but on his return, received no treatment and the wound kept re-opening for the next six months. It was still discharging when he was transferred to the prison hospital in January 1942. While there, the doctor still did not provide any treatment or bandages and he had to use toilet paper to stop his shirt sticking to the wound. After 28 days in which he didn’t receive any treatment, and even though the wound began to fester, he was returned to his cell. He was among the internees sent to Derry prison in November 1942. From there he was sent to the Derry Union hospital where he was put in isolation, with poor food and hygiene and no reading materials or newspapers. His health declined even further until his unconditional release was ordered and he was carried on a stretcher to a police car and returned to his home. He never recovered and died in October 1945. At least six prisoners ended up in mental institutions, although one prisoner, Charlie McDowell, who built a spaceship from fruit tins to try and escape, and, claimed he had a paste that could dissolve prison bars, surprisingly didn’t end up in care. At least one internee tried suicide and ended up having to be accompanied by Jack McNally in his cell for a time. At the latter end of September or the beginning of October-I cannot remember the exact date-my cell was visited by two prison officers named Joseph Boyd and William Pyper, for the purpose of searching it. The day was Thursday, the time about 12-30. On entering my cell Boyd approached me and ordered me to strip off my entire clothing. As this was the first occasion on which I had received such an order I naturally refused to obey it, as I deemed it rather humiliating to have to strip under such circumstances. He immediately grasped me by the waistcoat and pulled it off my back. He then threw me down on my back on a mattress which was lying on an iron bedstead about three feet from the ground. In the process of doing so he had managed to pull my shirt up to my head. In this position he then pushed his knee into my chest and pulled the shirt completely off me. After that he pulled me from the bed on to the ground, holding me by the feet in doing so, with the result that my back hit the concrete floor in falling. He then trailed me by both feet along the ground, at the same time pulling the trousers off me, and while doing so he also kicked me on the left side. After this both men left the cell leaving me completely naked. I may mention that Officer William Pyper did not in any way take part in the assault. I was then locked up in my cell until the following day when, at 12 o’clock, I was paraded before the medical officer, Dr. McComb, who examined me. I still bore a mark on my left side from the kick I had received, but the M.O passed me fit for further punishment. At three o’clock on the same day I was paraded before the governor and charged with (1) refusing to obey an order; (2) attempting to assault an officer; (3) threatening an officer; and (4) making false allegations against an officer to the effect that he had kicked me. I admitted No. (1) charge; giving my reasons for same, but I emphatically denied all other charges, and I pointed out that I had actually been kicked. The governor replied that according to the medical officer’s report there were not any marks on me to prove my allegation. I replied that I still bore the mark on my side, and I offered to strip off my shirt, so that he could see the evidence for himself, but he refused my offer and said that he had to accept the officer’s evidence before mine. I was then sentenced to two days’ No. 1 solitary confinement diet. My diet during these two days consisted of four ounces of bread morning and night, whilst at dinner time four ounces of bread and two potatoes were supplied. No liquids were supplied except cold water. All utensils were removed from my cell, except my chamber and drinking water. Even my stool was removed, whilst my bedding, mattress, etc., were removed each morning at 7-30 a m and handed in again at 8 o’clock each night. I was denied all exercise. I may mention that I have been afflicted with a bad chest and a weak heart since boyhood, whilst I have also developed lung trouble since 1936, after a hunger strike in that year. The late Dr. O’Flaherty, Dr. McComb, and his assistant, Dr. Dickie, have all warned me about my weak heart. Before my arrest I had also pleurisy (twice) and congestion of the lungs. The doctors who attended me for same were the late Dr. McLaurin, Antrim Road; Dr. Alex. Dempsey, Clifton Street (April, 1935); Dr. R. McNabb, Donegall Street-(January, 1935, and June, 1940). Also X-rayed in the Royal Victoria Hospital, June, 1940. Diamond also added that Jimmy had included a footnote that said “…Officer J. Boyd is about 6 ft. 4 in. in height and about 13 st in weight, whilst I am about 5 ft. 3 in in height and 8 st. 6 lbs in weight.” Jimmy wasn’t the only one. Samuel Holden and Dan Rooney also were on the receiving end of beatings. On Thursday 15th June 1944, Gerry Adams and David Fleming were working beside each other in the shoe shop. As there was no work, Adams went to another prisoner’s bench. That prisoner, Dan Duffy, was a non-political and former British soldier. A warder, Jackson, then ordered Adams into the middle of the floor, saying, “You are raising a storm.” Duffy did as ordered and turned to face the wall and was told to leave. Jackson then ordered Adams to face the wall, which was not a typical order given to prisoners, telling him “I’ll soften you”. Adams refused and was then punched by Jackson while Thompson hit him with his keys. Adams was put on report and ordered to see the doctor. On the way to the doctor, Adams was pushed downstairs by another warder, Noble. A short time later, Jackson was joined by twenty warders including Moore, Kearns, Thompson and the chief, Crowe. Adams states that they were then brought to the doctor but he was beaten again by Noble, Moore and Boyd while being returned from A1 to his cell on A3. The beating started again when Adams was being brought down to the face the governor that afternoon. At the grill gate, he was assaulted again by warders Moore and Neeson, with Neeson grabbing him by the hair and hitting him with his knee, to the extent that Adams recalled “…water came from me”. Adams fell to the ground. Moore continued to beat him and Neeson tried to pull him by his hair to force him back up onto his feet. When he was finally brought in front of the governor, Adams was charged with refusing to face the wall. Adams’ punishment was three days’ bread and water and the loss of three months’ privileges. He was barely 18 years of age. At mid-day, Hugh McAteer returned to his cell to find that “…the west wall of my cell was spattered with blood over a space of 42 square feet… On the north wall, where it joins the west wall, was a large, streaky, blood-stained patch which looked as if a blood-stained head had been pressed against it. The stains remained clearly visible until whitewashed out about a week later.” Fleming also received three days’ bread and water punishment, after which he confirmed to McAteer that he had received a further beating in McAteer’s cell. The prison staff didn’t even acknowledge the blood stains on the cell wall and they were whitewashed over a week later. See Stormont Hansard for 22nd March 1944 for the full debate. This must have occurred in June 1943. Anderson 2002, Joe Cahill: A Life in the IRA, 94. Brendan Behan heard Belfast Graves sung in a pub in Belfast and has himself singing the lines about Frankie Doherty in Borstal Boy. McGuffin, Internment, 1973, p75, also details on Curran were given by Harry Diamond in Stormont on 30th October 1945. When Harry Diamond related the account of Curran’s death and the deaths of seven internees. William Lowry. On 27th July 1944, a question was asked in Stormont dating this to October.